Brenda Rohren is the founder of our Regional Network. She became the Regional Coordinator in January 2015. Brenda is a EMDRIA Certified EMDR Therapist and EMDRIA Approved Consultant-in-Training. She has been a member of EMDRIA since 2010. Because of her commitment to the practice and advancement of EMDR, Brenda was active on several EMDRIA Administrative Committees until her election to the EMDRIA Board of Directors. (This includes Chair of the Membership Committee and Chair of the Public Practice & Diversity Subcommittee.) During Brenda term on the Board (2014-2016), she served on several Board committees: Chair of Structure, Function, & Bylaws (SF&B) Committee; Audit Committee; Leadership Committee; Executive Director Review Committee; and Ownership Linkage Committee. Brenda was the Secretary of the Board of Directors in 2015. Career achievements include as a Collaborating Investigator for the DSM-5 Field Trials in Routine Clinical Practice (2011-2012), an ASAM Field Reviewer for the 2013 Patient Placement Criteria (2012-2013), and Research Associate for the Institute of Medicine (National Academy of Sciences; 1988-1989). 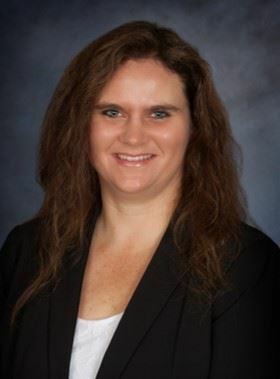 Brenda is an experienced surveyor for an international accreditation organization (CARF) and has conducted surveys in the United States and Canada, to include at VA facilities. Brenda is a military veteran (U.S. Navy). Her last duty station was in the Pentagon (Surface Warfare Division, OP-32). Her husband is a retired LCDR (Navy) and her daughter is also a Navy veteran.